Liverpool ARE interested in Julian Brandt, but won’t be trying to sign the young German until the summer. That’s according to the very trusted James Pearce in the Echo, who claims that Jurgen Klopp is a huge admirer of the £20m rated wing-forward, but accepts it’ll be impossible to acquire him this January and we’ll instead have to wait until the end of the season. Liverpool are currently short in attack due to Danny Ings’ season-ending injury and Sadio Mane’s AFCON absence, meaning we only have Coutinho, Roberto Firmino, Daniel Sturridge and Divock Origi to cover three positions – especially considering we’ve still got six games to play this January. But it looks like Klopp will go with what he’s got and hope to pick up no further injury concerns. 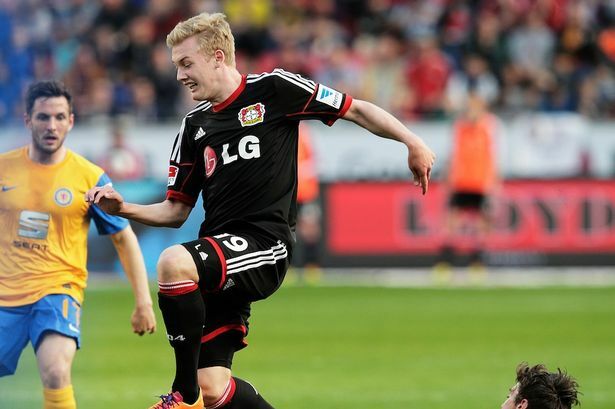 Brandt is 20-years-old and has scored 17 Bundesliga goals in 80 appearances for Bayer Leverkusen. He’s quick, hard-working and has represented Germany at every youth level, earning four full caps to boot. Hopefully, the lure of Klopp and his track record with youngsters will be enough to convince Brandt to try his hand in England.